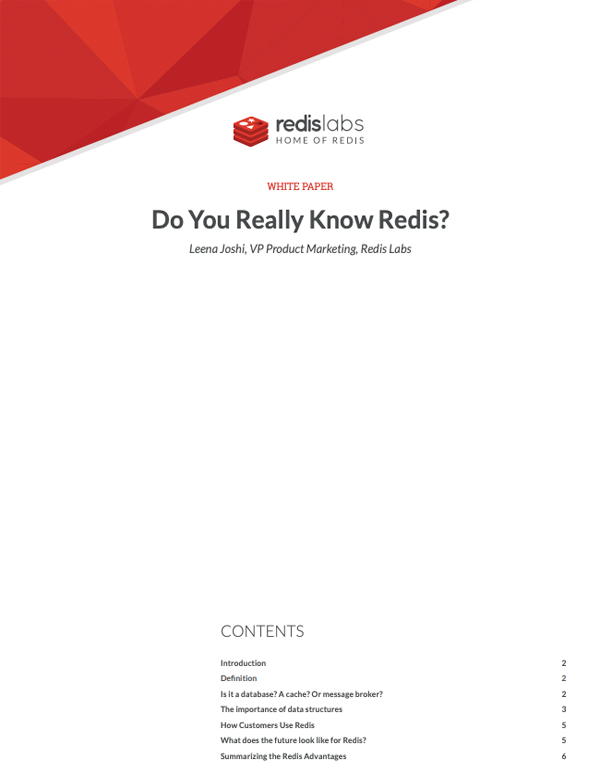 Do You Really Know Redis? Redis is tremendously popular among developers all over the world, and chances are you use many applications that leverage the power of Redis, in one way or another. Developers use it for its simplicity, high performance and dynamic community. This paper attempts to dispel some common misconceptions, clarify exactly why Redis is so popular and illuminate why it is evolving into an all-purpose preferred database.